Germany's justice minister called Monday for better exchange of information on violent extremists in the European Union following the riots that accompanied the Group of 20 summit. Hamburg saw three nights of violence amid anti-globalization protests as leaders of the world's biggest economic powers met. Police arrested 186 and temporarily detained a further 225 people. 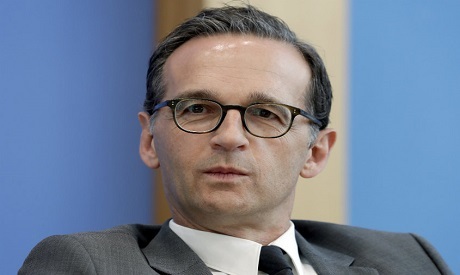 "The brutal riot tourists stop at no borders," Justice Minister Heiko Maas said. "A high proportion of the violent extremists traveled to the G-20 from other European countries." He added that "we experienced a new quality of violence, which we should react to with more cooperation in combating extremists." Germany temporarily reintroduced border controls with its European neighbors weeks before the summit. Interior Minister Thomas de Maiziere said "several hundred" known extremists were turned back. Other people were searched but in some cases there was no legal reason to deny them entry, such as traveling with weapons like slingshots. "We are talking about a year and half to two years of preparation in the left-wing extremist scene," de Maiziere said. "I wouldn't be surprised if much of the material with which police officers were wounded came to Germany long before border controls were introduced." "The events surrounding the G-20 summit must be a turning point in our view of the left-wing scene's readiness to use violence," he added. There must be "no tolerated retreats" in German cities for violent far-left extremists, he said. De Maiziere is a member of Chancellor Angela Merkel's conservative party. Maas belongs to the center-left Social Democrats, its current partners in a national governing coalition of traditional rivals. Hamburg's city government, which oversaw the police operation, is led by the Social Democrats. The local branch of Merkel's party has called for Mayor Olaf Scholz's resignation, but Merkel's chief of staff Peter Altmaier — also a conservative — rejected that call. Germany holds a national election Sept. 24.